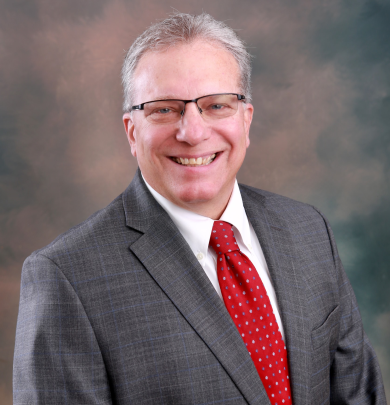 As a Financial Advisor and Certified Financial Planner in the St. Louis region Art Stone helps families, individuals, and organizations define and strive to meet their goals by delivering a vast array of solutions, advice, and resources. Those resources and solutions are applied in the way that is most appropriate for how you invest and what you want to achieve. With over 30 years of industry experience Art can help you to preserve and grow your wealth, plan for the unexpected, and help you enjoy the best moments with your family. With Art Stone as your financial advisor you will have access to some of the world’s most seasoned and respected investment professionals, a premier trading and execution platform and a full spectrum of investment choices. Youve Been Named an Executor of a Parents Will. Now What? Learn More about Youve Been Named an Executor of a Parents Will. Now What? Ready to start a conversation? Contact Arthur H Stone today. 6Investors should consider many factors before deciding which 529 plan is appropriate. Some of these factors include: the Plan’s investment options and the historical investment performance of these options, the Plan’s flexibility and features, the reputation and expertise of the Plan’s investment manager, Plan contribution limits and the federal and state tax benefits associated with an investment in the Plan. Some states, for example, offer favorable tax treatment and other benefits to their residents only if they invest in the state’s own Qualified Tuition Program. Investors should determine their home state’s tax treatment of 529 plans when considering whether to choose an in-state or out-of-state plan. Investors should consult with their tax or legal advisor before investing in any 529 Plan or contact their state tax division for more information. Morgan Stanley Smith Barney LLC does not provide tax and/or legal advice. Investors should review a Program Disclosure Statement, which contains more information on investment options, risk factors, fees and expenses and possible tax consequences. 8Tax laws are complex and subject to change. Morgan Stanley Smith Barney LLC (“Morgan Stanley”), its affiliates and Morgan Stanley Financial Advisors and Private Wealth Advisors do not provide tax or legal advice and are not “fiduciaries” (under ERISA, the Internal Revenue Code or otherwise) with respect to the services or activities described herein except as otherwise provided in writing by Morgan Stanley and/or as described at www.morganstanley.com/disclosures/dol . Individuals are encouraged to consult their tax and legal advisors (a) before establishing a retirement plan or account, and (b) regarding any potential tax, ERISA and related consequences of any investments made under such plan or account.